Central Pools - BOP, Waikato. Imagine owning a pool that always looks as clean and impressive as the ones you see in the magazines. The optional Vantage system virtually eliminates the need for manual cleaning and leaves your pool looking crisp and clean every day! Vantage ensures all water in your pool is fully circulated, this allows for proper chemical saturation and reduced burn-off from the sun. Customers with Vantage boast that it is almost effortless to keep their pools healthy and clean. Since the summer of 1980 Compass Pools have been known for their innovative engineering and exclusive technology. From the patented ceramic core (which makes our swimming pools so strong that we can offer a true life-time structural warranty), to the exclusive biluminite colouring process which creates an unmatched 3D effect. Find out more about the unique story behind Compass Pools and the industry-leading technology that has helped us to become respected by pool experts world-wide. 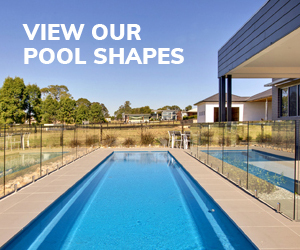 Choose from a great range of pool shapes and sizes. There is a stunning option for every backyard and all pools are available in a range of exclusive colours. 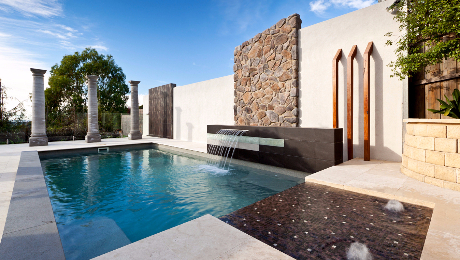 Unlike many fibreglass pools a Compass can be customised with features from pool and spa combos through to sun-pods, water-walls, vanishing edges and more. 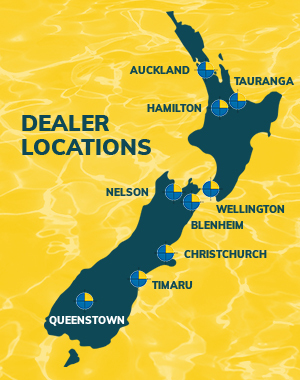 In new Zealand, the most popular pools tend to be X-Trainers, Vogues and Fast-Lane Lap pools. All three ranges feature simple, clean straight lines which have proven to stay in trend for decades. As backyards continue to decrease in size we are also seeing huge growth in our smaller plunge pools. The dual-layer colouring process used by Compass Pools is know as BiluminiteTM . This uinque process uses two colour layers rather than one to create a unique 3D effect when the pool is filled with water. The surface consists of an slightly-tinted opaque gel coat layer which suspends glitter and coloured chips above a vinyl-ester solid-colour layer. This dual layer approach not only 'pops' your pool colour (especially on a sunny day)but also offers an added layer of protection through the use of a additional layer of super water-resistant vinyl-ester resin. We are currently looking for the right people to join our dealer network. You will need to have proven business management experience and a keen desire to dig-in and create growth in your business. We are experiencing high demand for our product across the country so you will need to be a fast learner and hard worker. We've just been told that 2018 will see the arrival of a new 7m plunge pool. Watch this space! Be quick...there's still a chance to book your pool install and swim this summer however many of our dealers are reporting they have only got a few spaces left before the end of summer!